1986 Chris Craft Catalina 350 The Chris Craft Catalina 350 was one of the most popular double-cabin cruisers produced in recent years and is the ideal vessel for both live-aboard and family cruising experiences. The Catalina offers expansive interior accommodations which are more commonly found only on much larger boats and provides most of the comforts and amenities desired on live-aboard boats and for extended cruising. The Catalina 350 was built on a solid fiberglass modified-v hull with a moderate beam, high free board and provides a smooth ride even when running in chop or high seas. This boat features a forward v-berth stateroom as well as an aft-quarter double bed master stateroom located just off the salon. The large galley offers a full-size refrigerator, a three burner stove top, a full oven and a microwave and is configured in an L-shaped layout to accommodate the sink and food preparation area. The roomy salon accommodates a dinette area and plenty of living space for sofas, comfortable recliners, tables and plenty of space to relax. A like-new Cummins Onan 6.5 KW Generator(56 Hrs) powers the heat &/or air conditioning both forward and aft. Up top, the helm is positioned just forward of the aft deck in a manner that allows the captain and guests to easily converse in the spacious seating provided in the enclosed upper helm salon. Recently upgraded canvas and isinglass permits unobstructed views and a temperature controlled environment in cool weather or warm. This Catalina 350 is powered by twin Crusader 270 HP gas engines which were completely serviced in 2015 and upgraded with twin engine electronic ignitions, new cutlass bearings, new drip-less shafts and now show less than 50 hours on each engine(Port: 40 hrs, Stbd: 20 hrs). 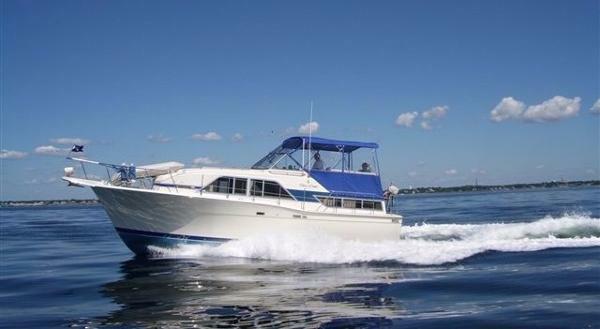 Frequent upgrades such as new windlass, electronic ignition, Inflatable raft with 3 HP engine, rebuilt Crusader engines with low hours brings this boat to the top in its class for power, comfort, reliability, accommodations and great value. Here's a great way to own and enjoy a beautiful waterfront vacation house on the Jersey shore. This boat has all the amenities of a bungalow on Barnegat Bay.Included in the price are two large central air conditioning units, generator, flat screen TV, full galley - even a bathtub! Easily sleeps six in three separate staterooms. This boat has it all! 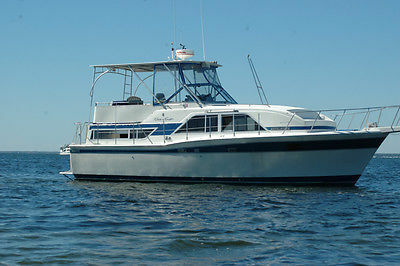 The boat is suited very well for a liveaboard situation or as a waterfront vacation retreat. The Catalina 350 is known for its spacious interior with all the comforts of home.The boat comes with Two A/C units, Two electric heads, Twin cabin design, 6'4" headroom, Bathtub with shower,6.5KW Onan generator. 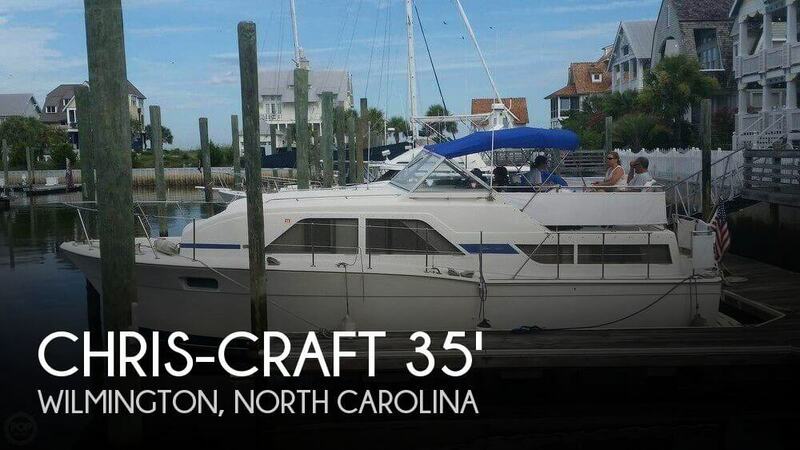 Owner improvements are, Custom hardtop, Full canvas enclosure, Two Vhf radios and hailer, Radar, Two GPS/Chartplotter,Simrad autopilot,Interfaced electronics, 1000 Watt Inverter,Flat screen TV. USCG type A1 fuel lines(ethanol safe),3 zone stereo w/ 9 speakers,Four group 27 batteries, 40amp battery charger.